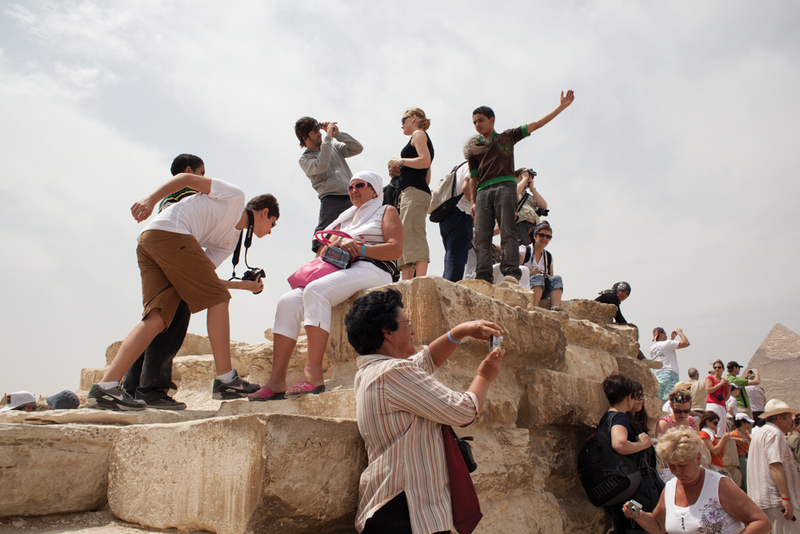 Current sociological, tourism and photography scholarship predominantly views tourists with cameras as passive consumers of places and, only rarely, as active cultural producers. 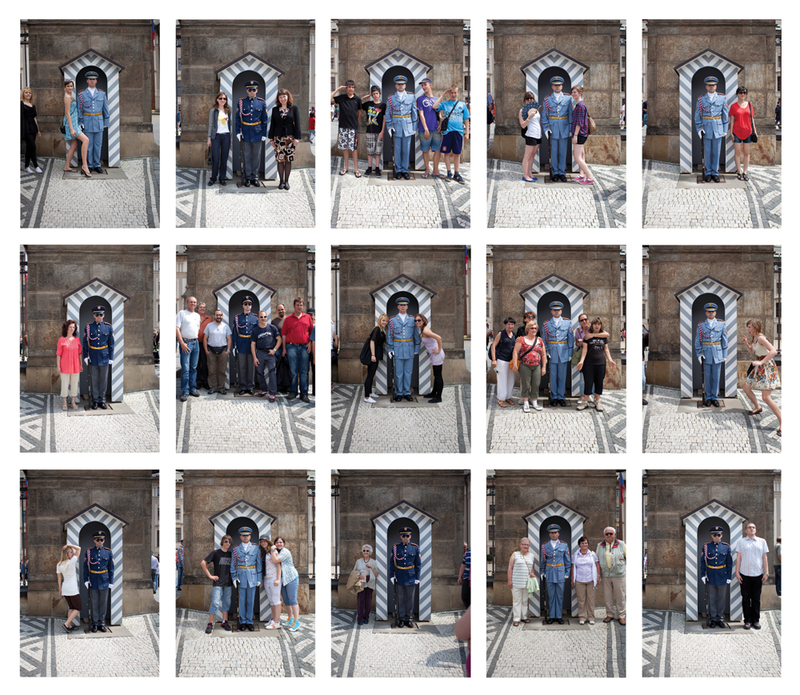 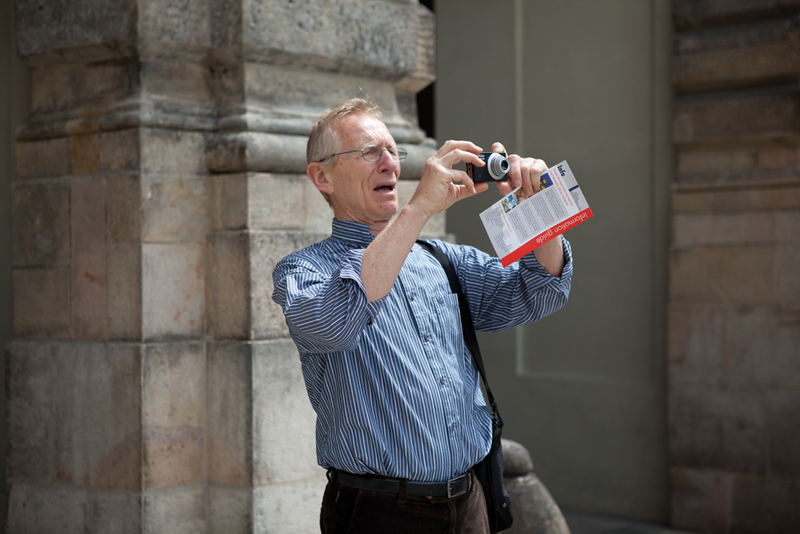 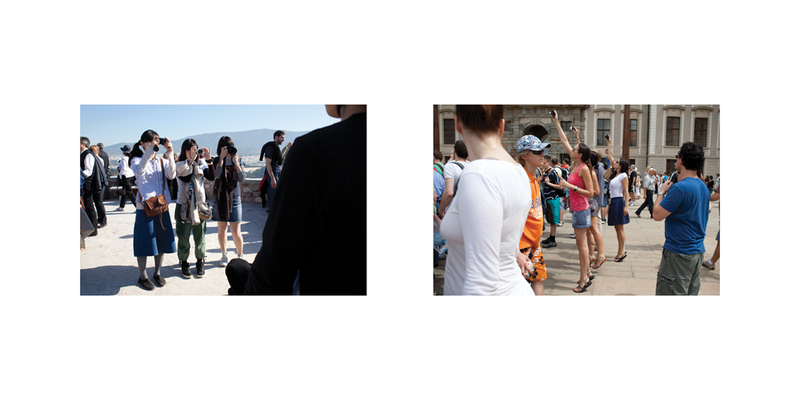 Tourists Who Shoot supports the notion, set out by Jonas Larsen in his essay for Reconsidering Amateur Photography, that tourists are active performers in the photographic process and produce photographs that have highly personal meanings. 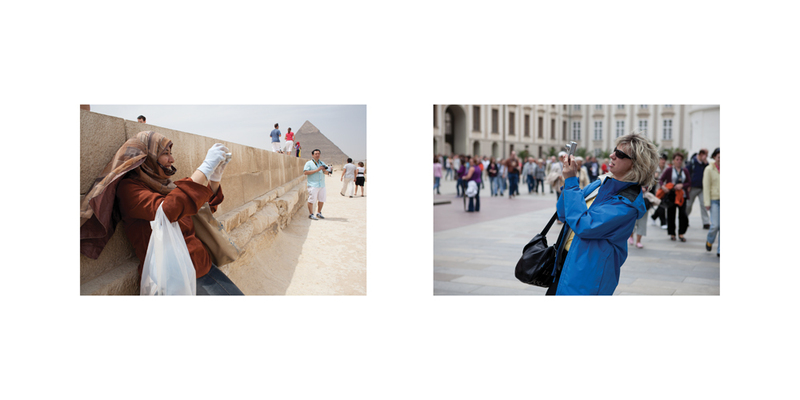 Nevertheless, their photographs are still shaped by larger conventions such as the cultural construction of places, structural factors, sets of social and visual conventions as well as photographic etiquette. 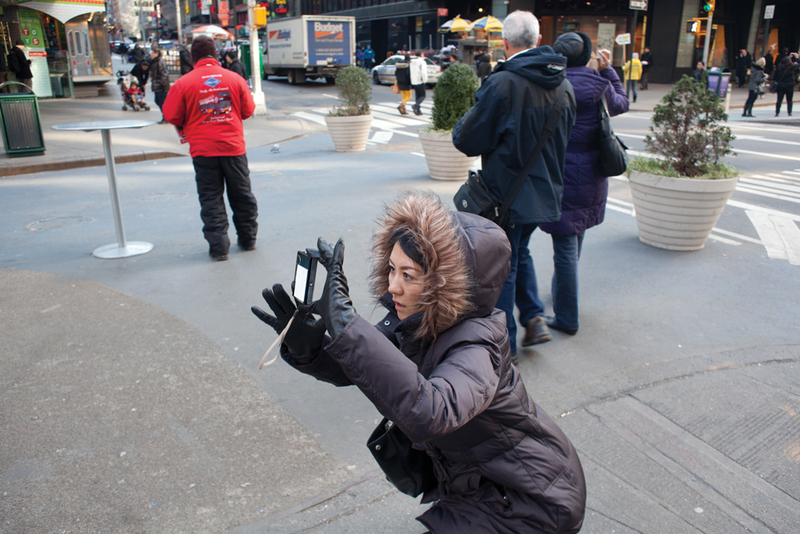 Additionally, the camera has forced specific choreographies and behaviours. 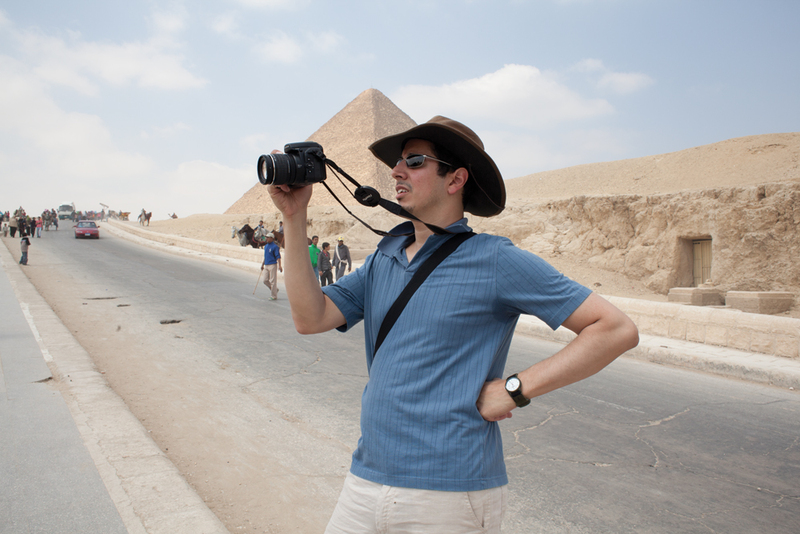 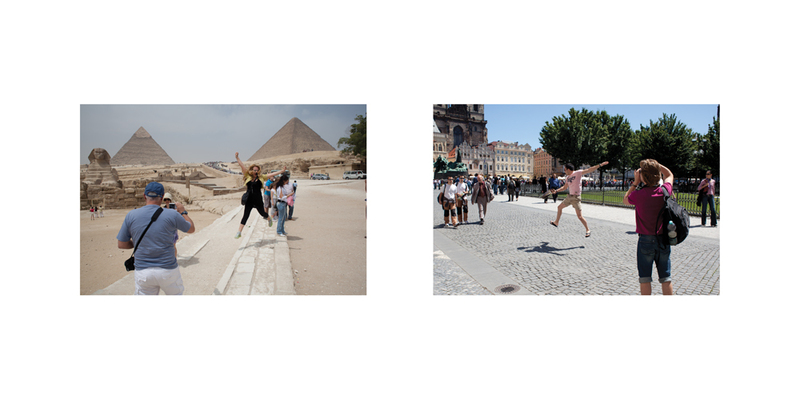 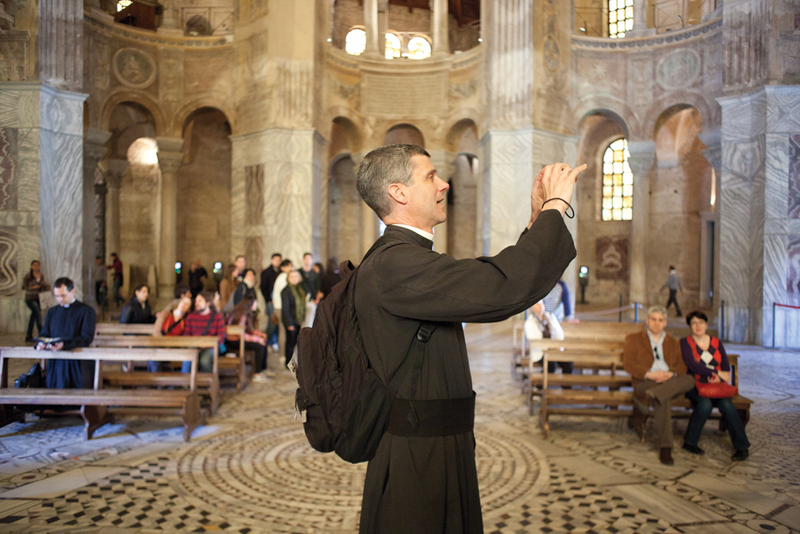 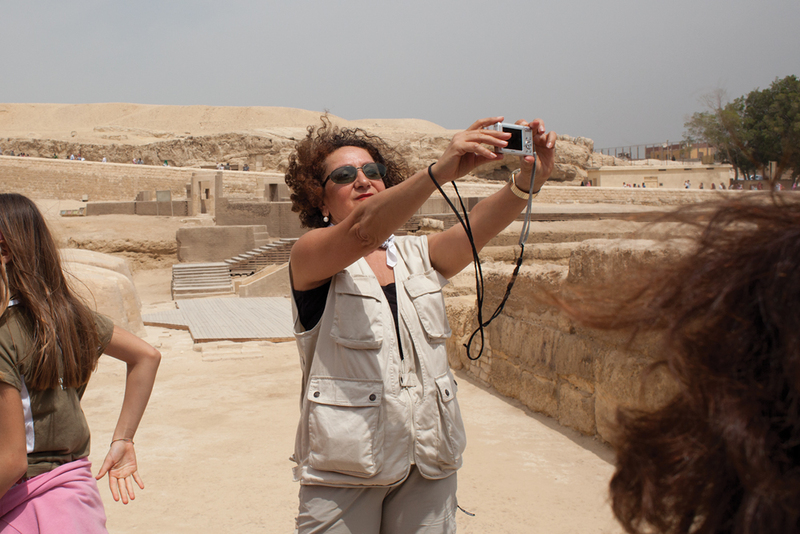 Tourists’ choreographies have evolved, and are still evolving, alongside changes in camera availability and technology. 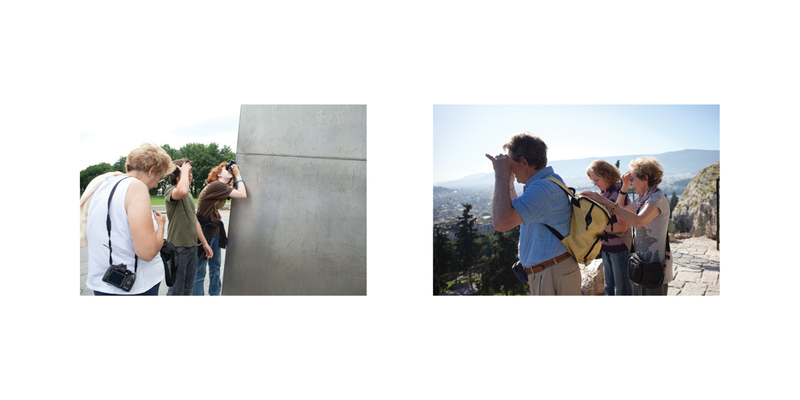 Tourists Who Shoot catches tourists in Europe and the USA (Prague, Athens, Cairo, New York, St. Louis, Ravenna and Paphos) in the act of taking photographs. 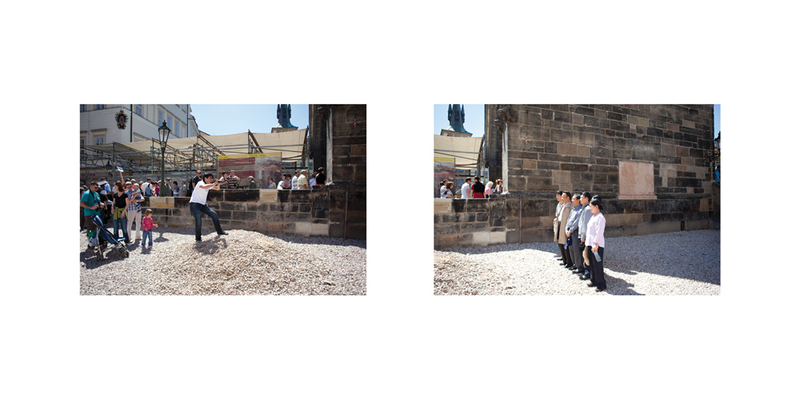 It visually explores performance metaphors such as the ‘stage’, ‘director’, ‘choreographies’ and ‘acting/ posing’ (the photographs’ titles borrow this terminology). 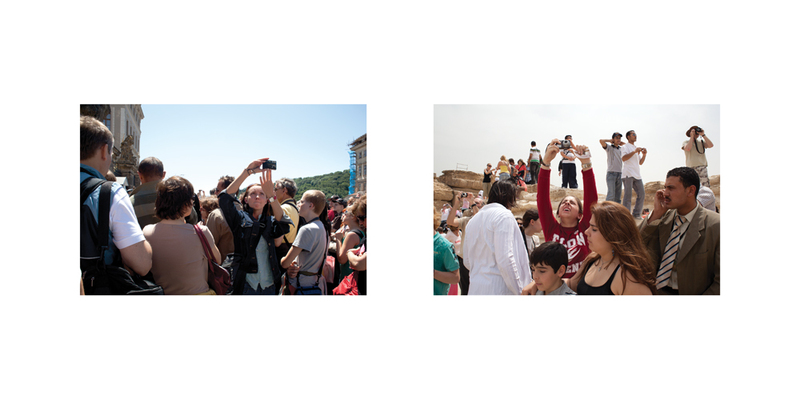 Furthermore, the tourists’ portraits attempt to capture the experience of filtering reality through a lens, the moments which are not wasted, as Sontag would want us to believe, but newly found.